No promo, or even translated packaging for this one. 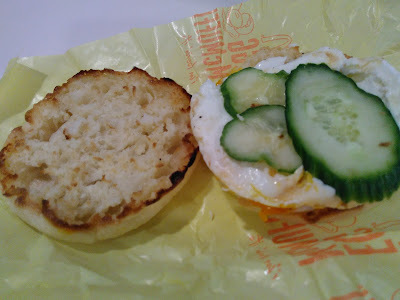 Not exactly an accurate representation of the egg, and that's perfectly fine in this case. In early January 2017 McDonald's Vietnam rolled out their first localised McMuffin, the 'Banh McMuffin'. 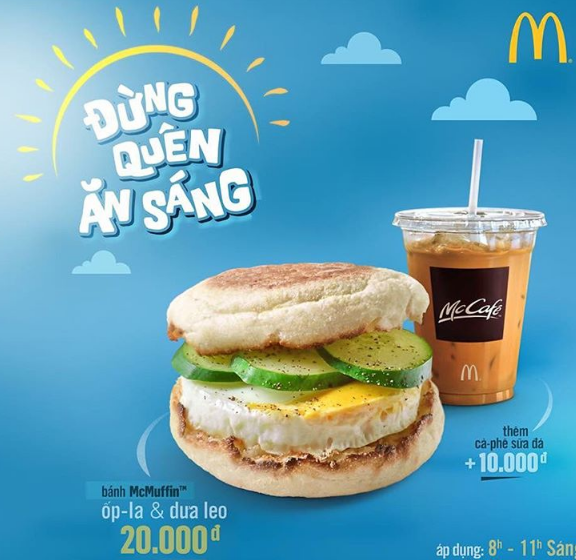 I assumed it was not called the 'Banh Mi McMuffin' since they already sold a 'traditional' Banh Mi on the lunch menu and didn't want to introduce any confusion. I recommend you go back and read that review as it was my first review from Vietnam and I talk a bit about different versions of Banh Mi, but if you can't be bothered, the abridged version is that it wasn't one of my favourite local dishes, so I went into this McMuffin with a strong hesitation. So, there's a Banh Mi cart directly outside our office in Ho Chi Minh City. 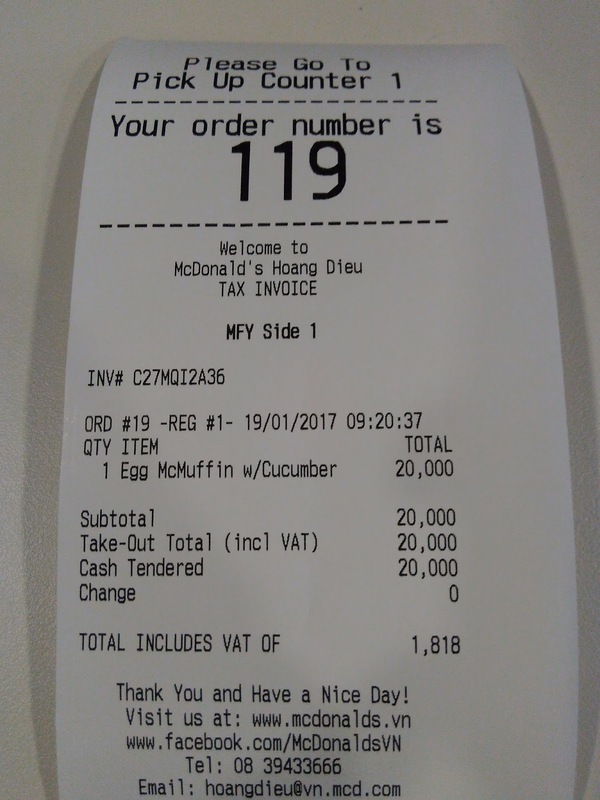 I pretty much always take the 7am flight from Bangkok landing at 8:30 so I'm hungry by the time I get to the office around 9. Before I enter, I grab two (yes, two) breakfast Banh Mi from her before even dropping off my bags. 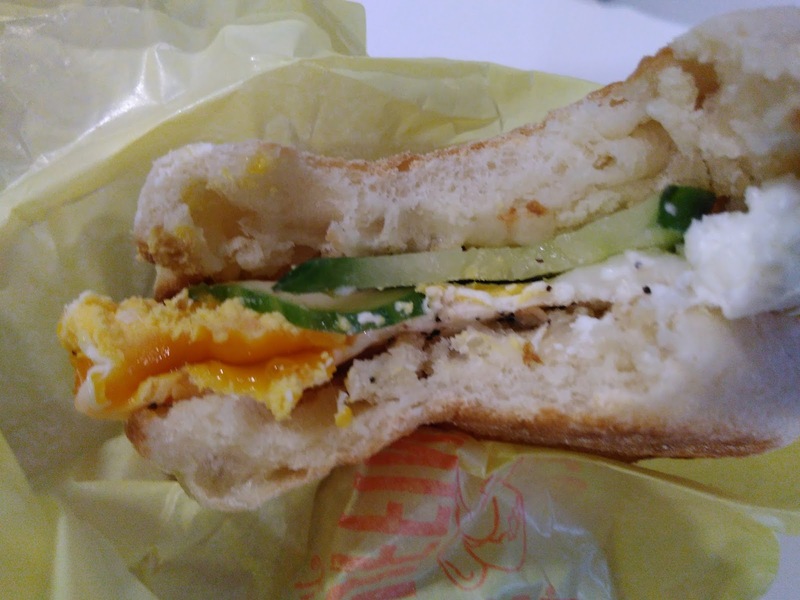 It's a simple but very tasty breakfast sandwich - just a typical Vietnamese baguette filled with cucumber, a freshly fried egg topped with some chilli, a few other herbs and a dash of sauce. 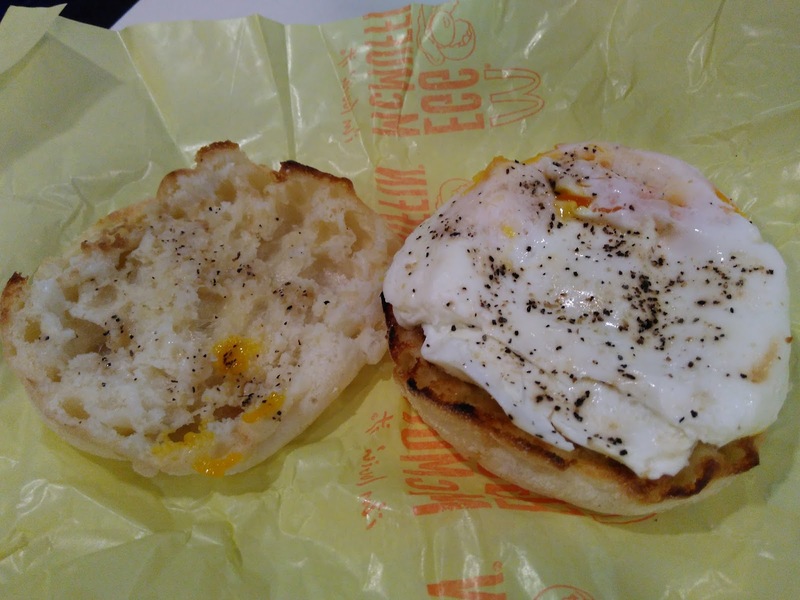 The McMuffin pretty much copied this, except by replacing the chilli with a generous amount of black pepper. Ignoring the three large slices of cucumber, the biggest difference between this and a McMuffin you'd find elsewhere is the yolk of the egg was still runny, just like how you'd get them on the street, and nothing like that firm, cooked-in-a-ring egg you get everywhere else. 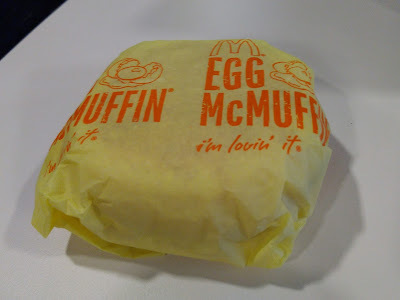 Ok, if I'm being completely honest, the egg wasn't as runny as it is outside, but it was still enough that you'd get your fingers messy if you weren't careful. The black pepper was a nice touch, but I would have preferred something a bit spicier, and the lack of chilli was really noticeable as I like my eggs spicy. 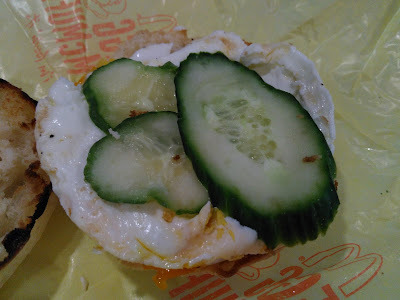 Not including fish sauce was expected coming from McDonald's, but some sauce (or cheese) was needed here as it was a bit dry just egg and cucumber. This is definitely one of those promo items that is far from bad, but it isn't really anything all that special. 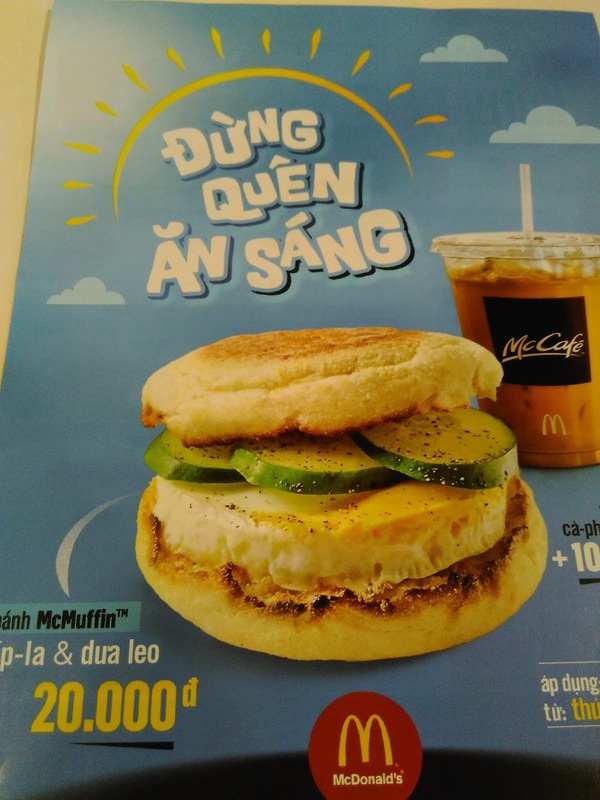 If you look at the receipt photo they don't even call it the Banh McMuffin like the promotional poster, but rather the more literal Egg McMuffin with Cucumber, but this Egg McMuffing doesn't even have ham or cheese! 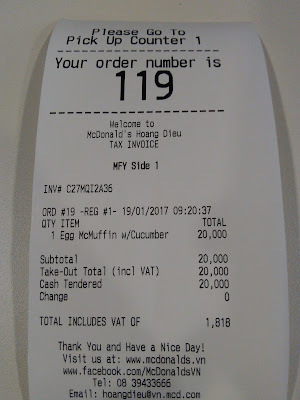 It's probably not worth hunting down to try, but if you wanted to sit and have a decent Vietnamese Coffee in some air conditioning, it's worth the price, but you need to offset one by getting one off the street as well, if only to be full. Certainly a lot better than the Rice options on the breakfast menu, and since it doesn't have any sauce, meat or cheese, it has to be one of the healthier options you can get anywhere. Not sure why they had to give me a leaflet of the same thing I just ordered?